The landscape of Cary, North Carolina has changed over the last two decades with marked growth in the population and business. 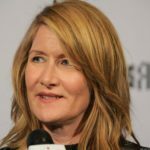 Cary has earned a reputation as a relocation magnet. This quaint community ranks as one of the best and safest places to live in the nation. Cary’s lifestyle appeal has now expanded to tourism. The town’s proximity to Research Triangle Park, a thriving tech center, and the University of North Carolina Chapel Hill have helped to fuel its popularity. Cary, once a small southern railroad town, is now a suburban sanctuary for yuppies and yankees alike. 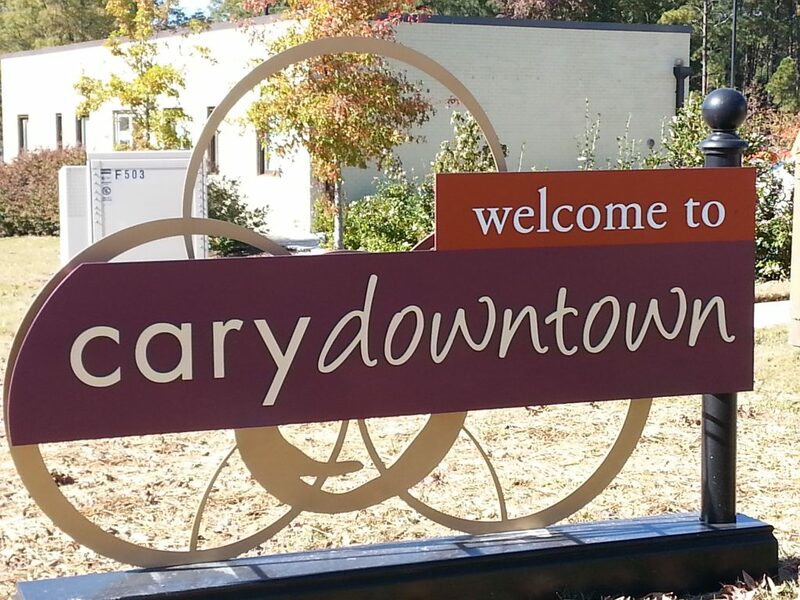 Despite the changes, Cary’s rich history is as deeply rooted in the town as its train tracks. Train service continues in Cary. Amtrak now operates the local station stop on Academy Street offering service via three active trains with routes from New York, Florida and within the Carolinas. More remnants of the past are still visible in the downtown area. The iconic Ashworth Drug Store Building houses a full service pharmacy. But, it is best known for its beloved soda fountain that has been serving homemade shakes for 60 years. The Page-Walker, listed on the National Register for Historic Places, is recognized as Cary’s first hotel. Built in 1868 to serve railroad passengers, the property was beautifully restored and transformed into Cary’s Art and History Center. The town and its residents are working to protect and maintain its coveted charm. A passion for preservation is the driving force behind development projects. There is a strong commitment to artfully and responsibly blending the old with the new. Deanna and Colin Crossman, a young entrepreneurial couple, are part of the special downtown Cary vision. 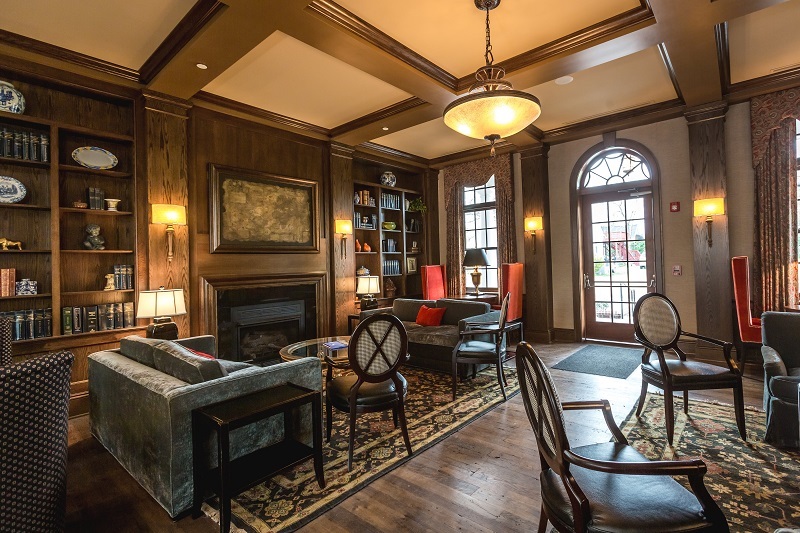 In early 2016, the talented team opened The Mayton Inn, Cary’s first and only luxury boutique hotel, after nearly five years of planning and construction. The Crossman duo knows a thing or two about creating an elevated experience. Deanna made her mark with The King’s Daughter Inn, a historic former residence for single and aging women, located on the Duke Campus in nearby Durham. At first glance,The Mayton Inn appears more of a mansion than a hotel. The distinctive architecture was inspired by many of the local area’s stately homes built the early 20th Century. Guests are greeted by a grand entry of towering columns and a covered circular driveway. The interior is just as inviting. 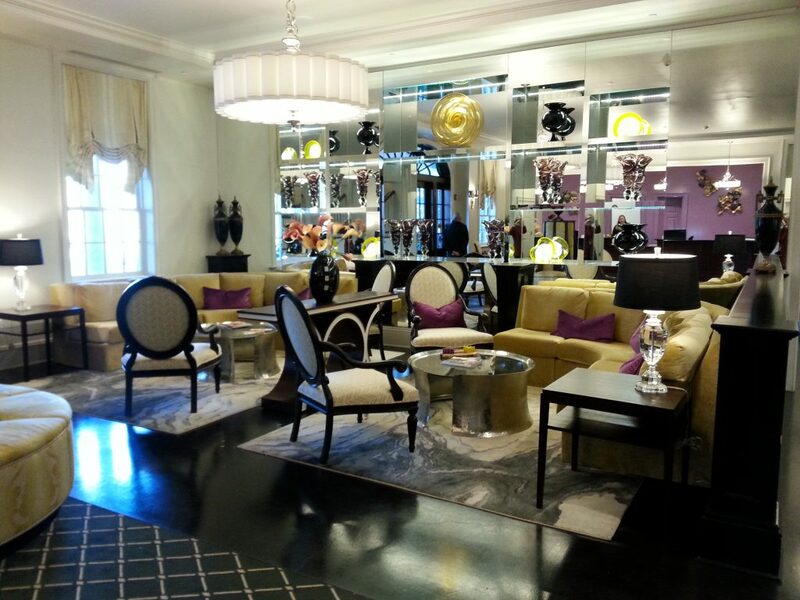 Upscale design elements create an atmosphere of refined modern elegance. Fast Fact: The Mayton Inn is on the former site of the Mayton House, a 1920’s bungalow once owned by a Cary Mayor. 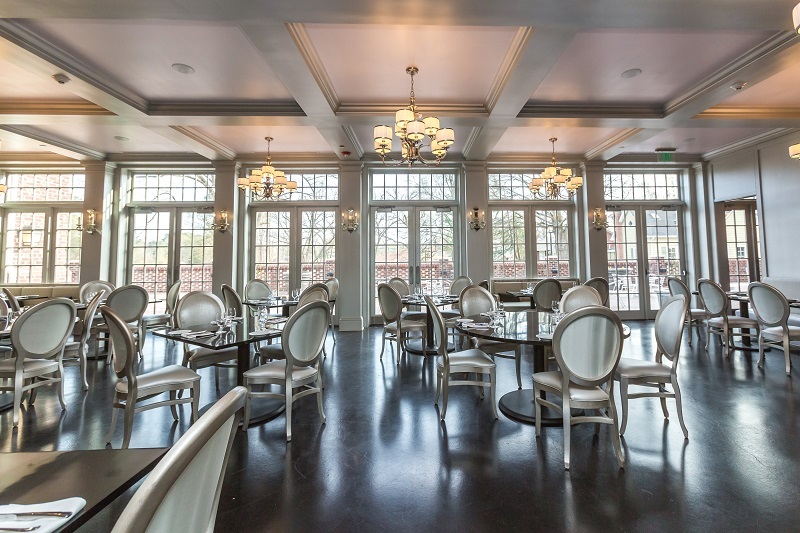 The Mayton Inn represents a new age of Southern hospitality. 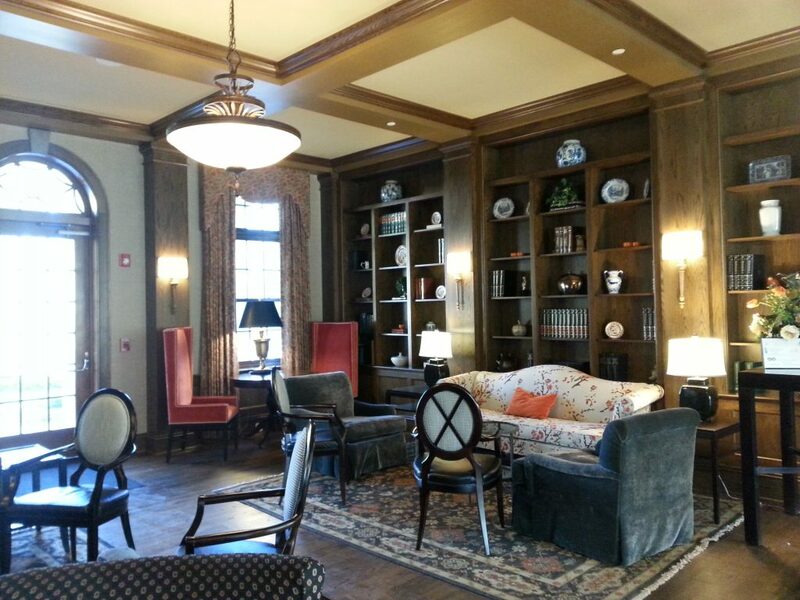 Careful thought and attention to detail has propelled the hotel project to success. A strong commitment to environmentally responsible construction and practices prevails. Hidden beneath the terrace, you will find a rain water cistern that collects water used for irrigation and outdoor watering. The interior features LED lighting and a total energy management system. Every room, designed with the energy efficiency in mind, is outfitted with a smart sensor thermostat and water saving bath fixtures. The four story brick Georgian-Style property features 44 rooms and a private cottage. And, the amazing list of amenities is the perfect extension of The Mayton Inn brand. Onsite, you will find an award-winning restaurant, a spa, gym, lounge/library retreat and a classic bar on par with any trendy speakeasy. The Verandah Restaurant is The Mayton’s shining star. Soft pastel pink and silver tones dominate the decor. Regal and Romantic. The perfect setting to celebrate a special occasion or make new memories. The menu is a match featuring savory southern comfort food. 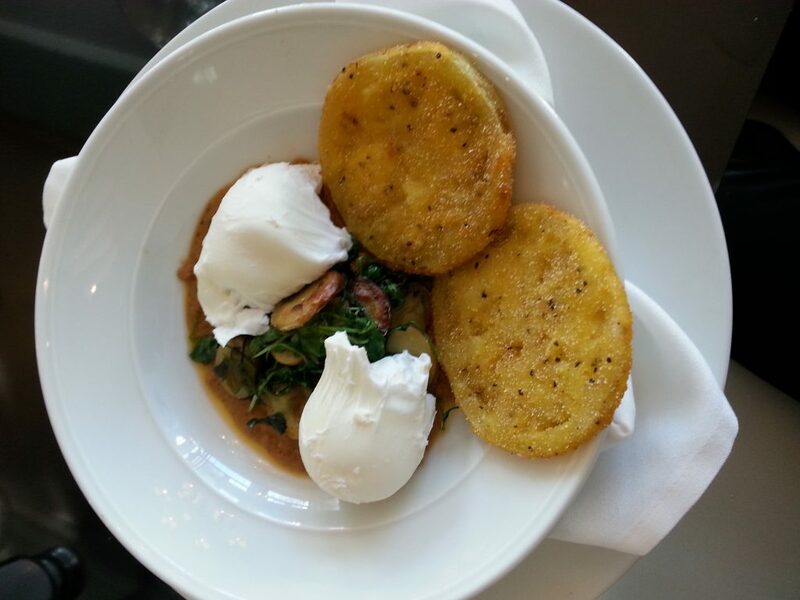 Delicious and creative Carolina dishes made with locally sourced ingredients and prepared fresh daily. Weekly wine dinners and tastings are new for 2017. No guest room or suite is alike. Each has its own personality. Room types range from a Standard King to a Private Cottage. Art Deco inspired, the modern design palette is vibrant and bold. And, the edgy unconventional blending of colors, textures and patterns is a delightful detour from the ordinary. Aqua, purple, periwinkle, yellow, rose and gold are among the Mayton color picks to dress up the walls and fabrics. The sleek contemporary furniture and luxury accents like an upholstered headboard, mirrored chest of drawers and silky 400 thread count sheets make it is easy to fall under The Mayton Inn spell. Discerning divas will revel in the avant-garde mix of red, silver and black in the Trinity Suite, the Mayton Inn’s largest and most unique suite. 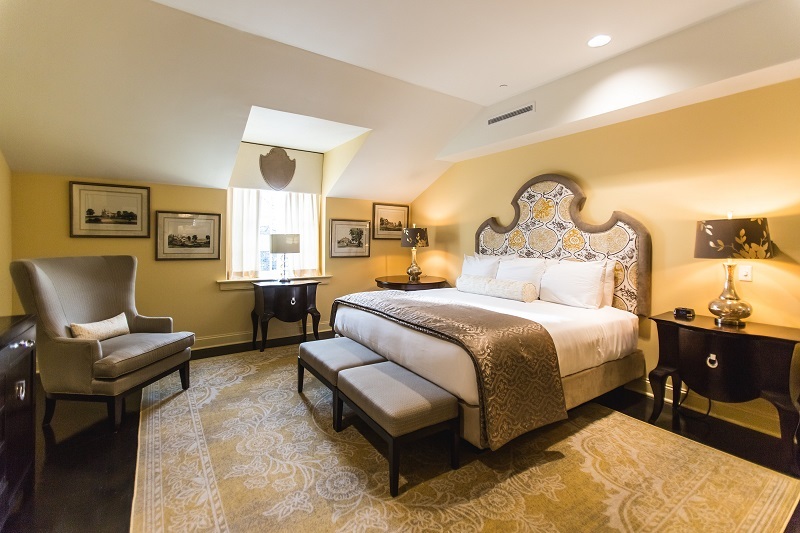 The Trinity Suite, at 2500 square feet, is more of an expansive private retreat. 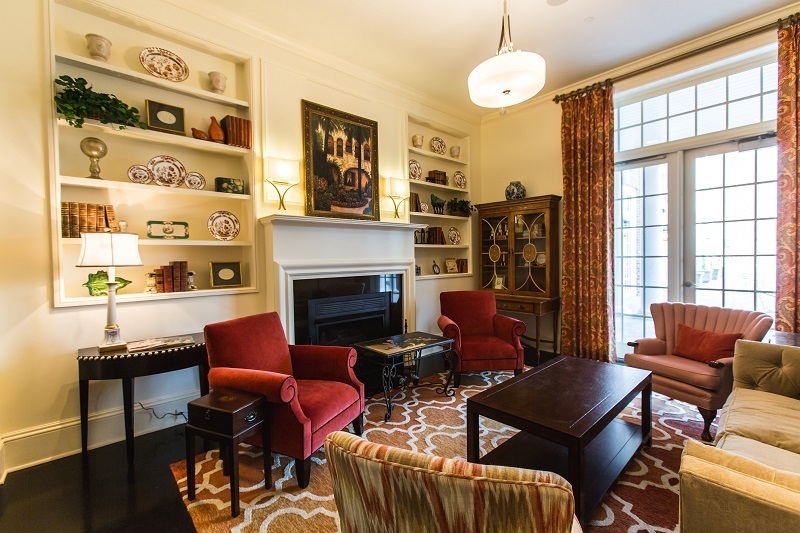 The Trinity, accommodating up to 10 guests, combines two king suites and one standard king room and features a living room/parlor area and sleeper sofas. A Girlfriend Getaway Favorite! 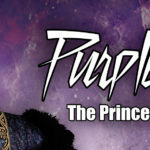 An attitude of frivolity and entitlement is the air. A welcomed reminder. You deserve to be pampered. 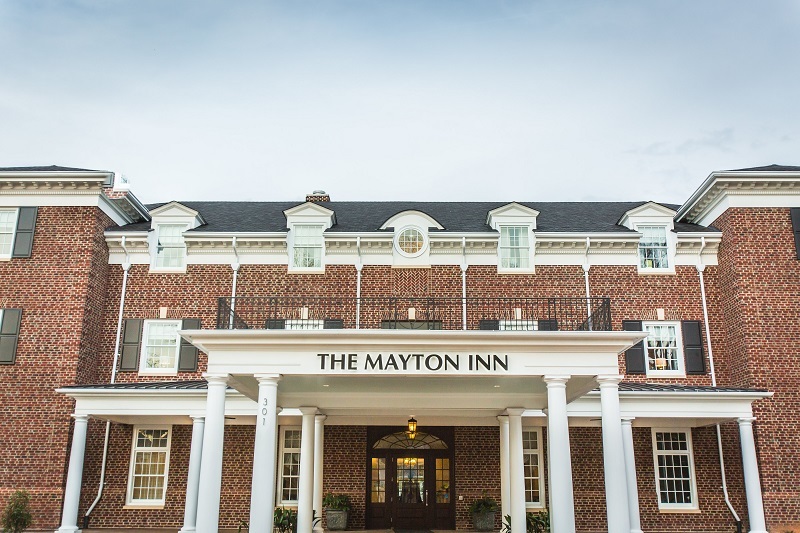 Given its accolades for charm and service, The Mayton Inn is fast becoming one of the Triangle area’s top wedding venues. During my late November 2016 visit, several budding brides were already vying for June wedding dates. The Mayton Inn offers a wide range of indoor and outdoor space to accommodate groups up to 250 guests. The Raines – 350 sq ft.
Can’t make up your mind. No worries, you can reserve the entire Inn. The Mayton Inn tag line sums up the guest vacation experience well. The Mayton Inn will not disappoint. You are sure to enjoy the best of both worlds. For more information, room rates and special packages, visit The Mayton Inn website or call 919-670-5000. Rates: Seasonal; starting at $209 per night. 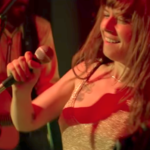 Don’t miss the Mayton Inn Birthday Party on February 18th. Be sure to pack your flapper dress for a special weekend escape and a fabulous Great Gatsby themed soiree. 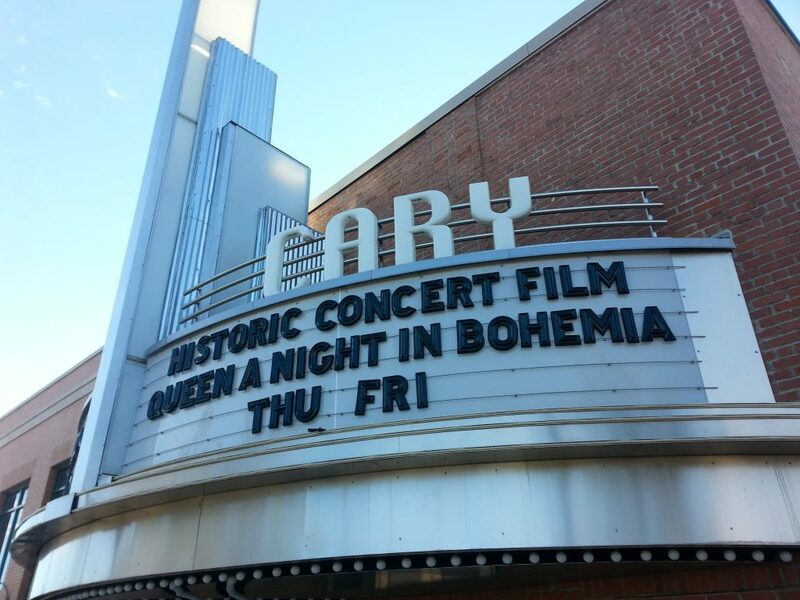 The Cary Theater: Arthouse/Theater, built in 1946, operated by the Town of Cary. 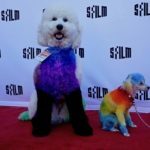 Featured shows/performances include independent film, music, and comedy. 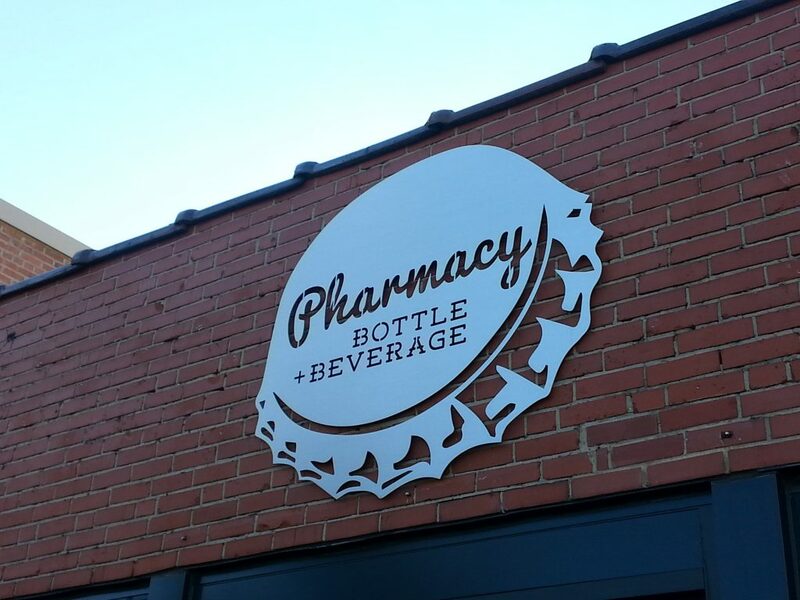 The Pharmacy Bottle & Beverage Company: Cary’s hot spot for craft beer and conversation. Located in the former Mitchell’s Pharmacy building adjacent to the Cary Theater, this unique bar-and-bottle shop concept is shaking up the social scene. With 16 taps on rotation and a huge selection of cans and bottles for purchase you are sure to find something to wet your whistle. The open indoor space featuring 15 foot sliding windows and the outdoor sidewalk seating make it a favorite late night watering hole especially during warm summer months. The Perfect Piece: A consignment goldmine of furniture and home decor. 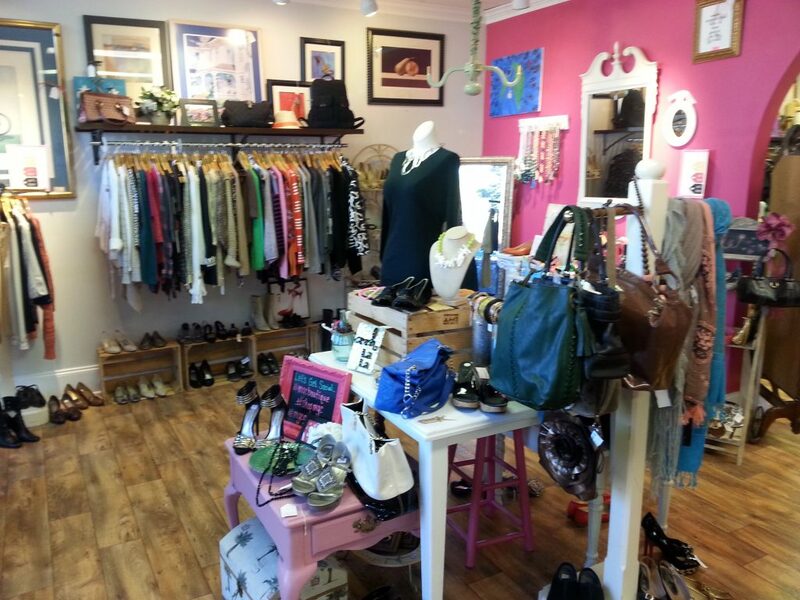 My Girlfriends Closet aka the Savy Chic Resale Boutique: Upscale fashion finds at a savings.